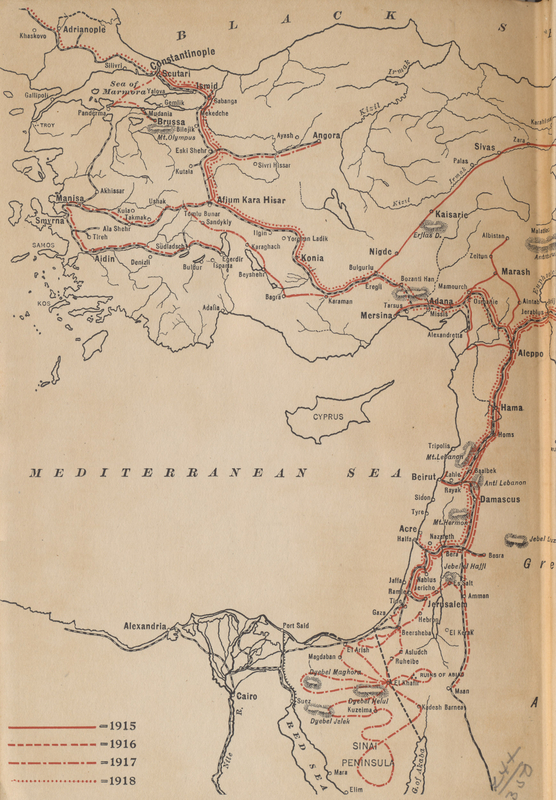 Map of the Ottoman Empire showing the travels of Rafael De Nogales, Inspector-General of the Turkish Forces in Armenia and Military Governor of Egyptian Sinai during the World War, from his book Four Years Beneath the Crescent. Legend for the author's travels for the years 1915, 1916, 1917, and 1918. 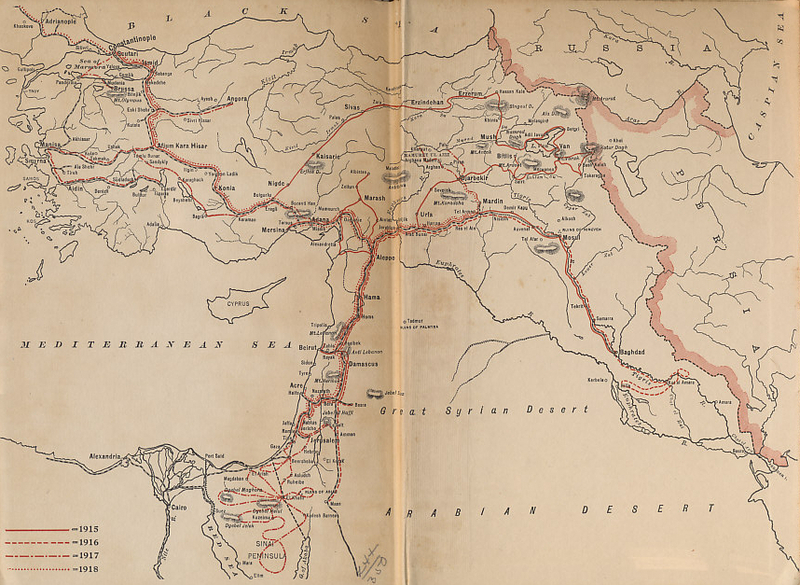 Ottoman Empire, the country of Turkey and its tributary states. Frequently referred to as 'the sick man of Europe', the Ottoman Empire had been fighting to defend its territory for over 100 years by the time the war began. The 1878 Treaty of Berlin ending the Russo-Turkish War affirmed Turkey's significant losses in the Balkans, and led to the establishment or independence of Serbia, Montenegro, Romania, and Bulgaria. It also assigned administration of Bosnia-Herzegovina to Austria-Hungary. Formerly a province of the Ottoman Empire, Serbia had been autonomous since 1817, and achieved independence in the Russo-Turkish War. The Treaty of Berlin ending the war established the Principality of Bulgaria as a Turkish vassal state. In 1885 Bulgaria significantly expanded by annexing Eastern Rumelia forming a personal union under Ferdinand. On October 5, 1908, in the Balkan turmoil after the seizure of power by the Young Turks, Bulgaria declared independence. Turkey was defeated by Serbia, Bulgaria, Greece, and Montenegro in the First Balkan War of 1912-13, losing territory to all those countries, and to the newly independent Albania. It regained some of the lost territory in 1913 in the Second Balkan War, precipitated by a Bulgaria that was dissatisfied with its war gains. In 1913, Italy seized what became Libya in North Africa from the Ottoman Empire. 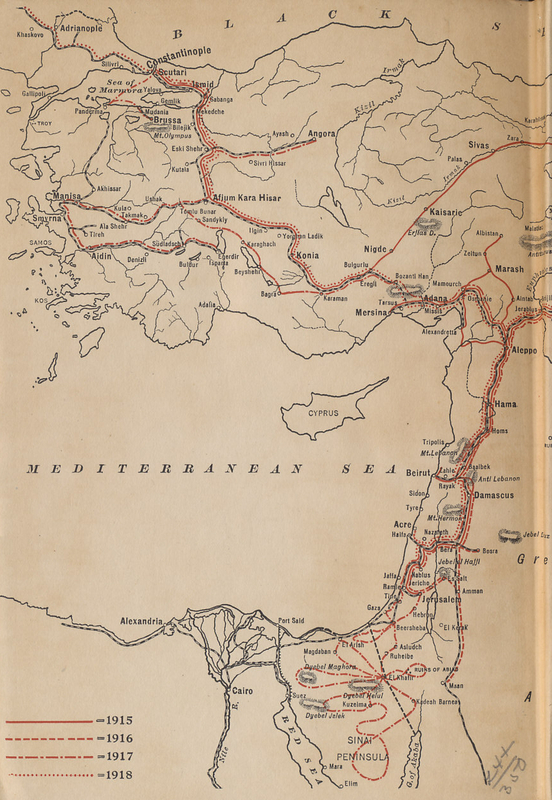 In 1914, at the beginning of the war, the Empire included Turkey, Mesopotamia, and Syria, including Palestine. Ottoman Empire is an empire in Asia.